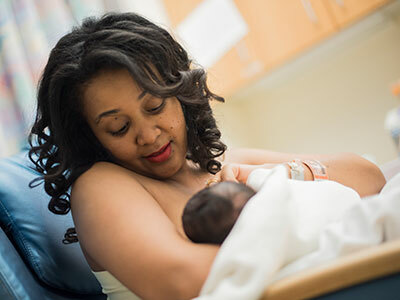 Mothers whose newborns had suspected food allergies reported breastfeeding them significantly longer than women whose infants had no adverse reactions after food exposure, according to preliminary research led by Karen A. Robbins, M.D., and presented during the American Academy of Allergy, Asthma & Immunology 2019 Annual Meeting. According to the Centers for Disease Control and Prevention (CDC), food allergies affect 4 to 6 percent of U.S. children, making such allergies a growing public health concern. Researchers are attempting to learn more about the interplay between food allergies and what, when and how children eat to inform allergy-prevention efforts. Little is known about the association between perceived food allergies, intolerance or hypersensitivity among babies eating their first bites of solid food and how long they’re breastfed. Dr. Robbins and colleagues analyzed data gathered through a longitudinal study led by the Food and Drug Administration (FDA) and the CDC from 2005 to 2007. The Infant Feeding Practices Study II tracked diet and feeding practices of about 2,000 women late in their pregnancies and followed their babies’ diets through the first year of life. Infants with suspected food allergies after exposure to food their mothers ate were breastfed a mean of 45.8 weeks. Infants with food intolerance after both exposure to food their mother consumed and food they ate themselves were breastfed a mean of 40.2 weeks. That contrasts with infants with no concern for food reactions, who were breastfed a mean of 32 weeks. One potential concern is that extended breastfeeding can impact solid food introduction practices. Karen A. Robbins M.D., lead author; Marni Jacobs, Ph.D., co-author; Ashley Ramos Ph.D., co-author; Daniel V. DiGiacomo, M.D., co-author; Katherine M. Balas BS, co-author; and Linda Herbert, Ph.D., director of Children’s Division of Allergy and Immunology’s psychosocial clinical program and senior author. Children exclusively breastfed for the first three months of life had significantly lower odds of having eczema at age 6 compared with peers who were not breastfed or were breastfed for less time, according to preliminary research presented during the American Academy of Allergy, Asthma & Immunology 2019 Annual Meeting. Eczema is a chronic condition characterized by extremely itchy skin that, when scratched, becomes inflamed and covered with blisters that crack easily. While genes and the environment are implicated in this inflammatory disease, many questions remain unanswered, such as how best to prevent it. According to the Centers for Disease Control and Prevention (CDC), breastfed infants have reduced risks for developing many chronic conditions, including asthma and obesity. Balas and colleagues tapped data collected in Infant Feeding Practices Study II, a longitudinal study co-led by the CDC and the Food and Drug Administration (FDA) from 2005 to 2007, as well as the agencies’ 2012 follow-up examination of that study cohort. This study first tracked the diets of about 2,000 pregnant women from their third trimester and examined feeding practices through their babies’ first year of life. Their follow-up inquiry looked at the health, development and dietary patterns for 1,520 of these children at 6 years of age. About 300 of the children had been diagnosed with eczema at some point in their lives, and 58.5 percent of the 6-year-olds had eczema at the time of the CDC/FDA Year Six Follow-Up. Children with higher socioeconomic status or a family history of food allergies had higher odds of being diagnosed with eczema. Katherine M. Balas BS, BA, lead author; Karen A. Robbins M.D., co-author; Marni Jacobs, Ph.D., co-author; Ashley Ramos Ph.D., co-author; Daniel V. DiGiacomo, M.D., co-author; and Linda Herbert, Ph.D., director of Children’s Division of Allergy and Immunology’s psychosocial clinical program and senior author. How does diet during pregnancy impact allergies in offspring? A small percentage of women said they consumed fewer allergens during pregnancy to stave off food allergies in their newborns, according to preliminary research Karen Robbins, M.D., presented during the American College of Asthma Allergy and Immunology 2018 Annual Scientific Meeting. Pregnant women routinely swear off alcohol and tobacco to boost their chances of having a healthy baby. What about common food allergens like nuts and milk? There are scant data that describe how often pregnant women deliberately stop eating a specific food item in order to prevent future food allergies in their newborns. As a first step toward addressing this data gap, a research team led by Karen Robbins, M.D., an allergist at Children’s National Health System, pored through a longitudinal study conducted by the Food and Drug Administration (FDA) and the Centers for Disease Control and Prevention. 2 women (.04 percent) ate/drank consumed less dairy/milk. Despite the diet changes, infants born to these expectant mothers were twice as likely to experience problems with food at age 4 months – though not at age 9 months or 12 months. And these infants were no more likely to be diagnosed with a food allergy. According to the FDA, millions of Americans suffer a food allergy each year. Reactions can range from mild to life-threatening and can begin soon after eating a problematic food item or an ingredient from that food. Among the most common allergenic foods are milk, eggs, fish, shellfish, tree nuts, peanuts, wheat and soybeans. Karen Robbins M.D., lead author; Ashley Ramos Ph.D., co-author; Marni Jacobs, Ph.D., co-author; Kate Balas BS, co-author; and Linda Herbert, Ph.D., director of Children’s Division of Allergy and Immunology’s psychosocial clinical program, and senior author. 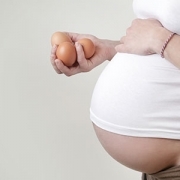 https://innovationdistrict.childrensnational.org/wp-content/uploads/2018/12/pregnant-woman-holding-eggs.jpg 300 400 Innovation District https://innovationdistrict.childrensnational.org/wp-content/uploads/2018/11/idlogo1-tagline-Advances-in-Medicine.gif Innovation District2018-12-17 11:16:382018-12-17 11:22:39How does diet during pregnancy impact allergies in offspring? If it does not jeopardize the health of the pregnant mother or her fetus, pregnancies should be carried as close to full term as possible to avoid vulnerable preemies experiencing a delay in brain development, study results published October 28 in Pediatrics indicate. 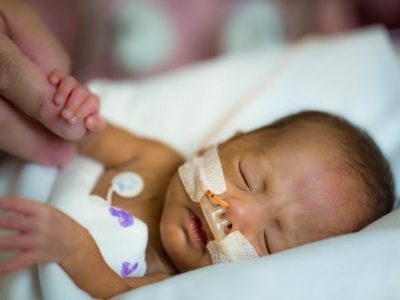 Some 15 million infants around the world – and 1 in 10 American babies – are born prematurely. While researchers have known that preemies’ brain growth is disturbed when compared with infants born at full term, it remained unclear when preemies’ brain development begins to veer off course and how that impairment evolves over time, says Catherine Limperopoulos, Ph.D., Director of the Developing Brain Research Laboratory at Children’s National Health System and senior study author. In order to shine a spotlight on this critical phase of fetal brain development, Limperopoulos and colleagues studied 75 preterm infants born prior to the 32th gestational week who weighed less than 1,500 grams who had no evidence of structural brain injury. These preemies were matched with 130 fetuses between 27 to 39 weeks gestational age. 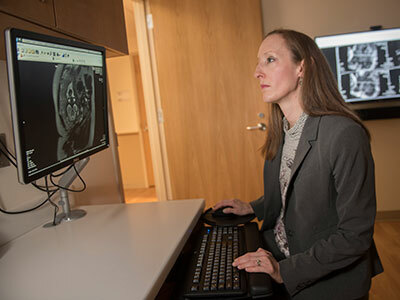 The healthy fetal counterparts are part of a growing database that the Children’s National Developing Brain Research Laboratory has assembled. 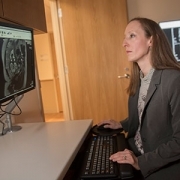 The research lab uses three-dimensional magnetic resonance imaging to carefully record week-by-week development of the normal in utero fetal brains as well as week-by-week characterizations of specific regions of the fetal brain. The availability of time-lapsed images of normally developing brains offers a chance to reframe research questions in order to identify approaches to prevent injuries to the fetal brain, Limperopoulos says. When the research team compared third-trimester brain volumes, preemies showed lower volumes in the cerebrum, cerebellum, brainstem, and intracranial cavity. The cerebrum is the largest part of the brain and controls speech, thoughts, emotions, learning, as well as muscle function. The cerebellum plays a role in learning and social-behavioral functions as well as complex motor functions; it also controls the balance needed to stand up and to walk. The brainstem is like a router, ferrying information between the brain, the cerebellum, and the spinal cord. “What this study shows us is that every day and every week of in utero development is critical. If at all possible, we need to keep fetuses in utero to protect them from the hazards that can occur in the extra uterine environment,” she says.